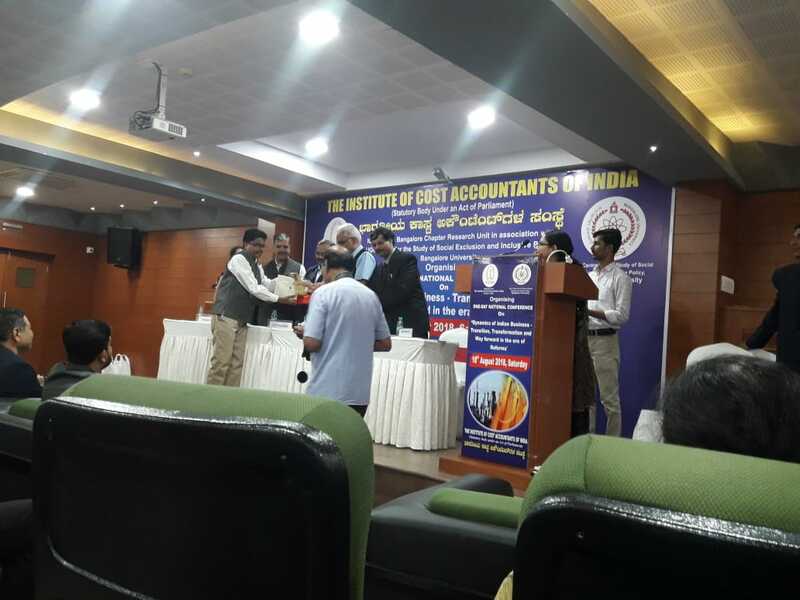 A one day National Conference on “Dynamics of Indian Business-Transition, Transformation and Way forward in the era of Reforms” was organized on 18th august 2018; Saturday.The National Conference was organized by the Institute of cost accountants of India (ICAI-CMA), Bangalore Chapter in association with UGC Centre for the study of social exclusion and inclusive policy, Bangalore University. 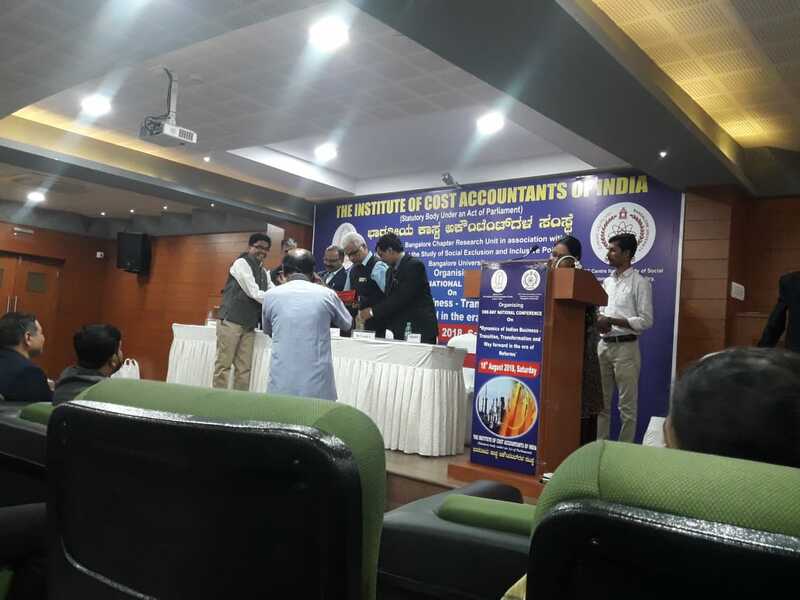 The program had various subthemes.CMR Center for Business Studies contributed seven papers in various areas covering from agricultural sector reforms, big data, artificial intelligence and robotics, Government policies and Small and Medium Scale industries, Global dynamics of Indian business. 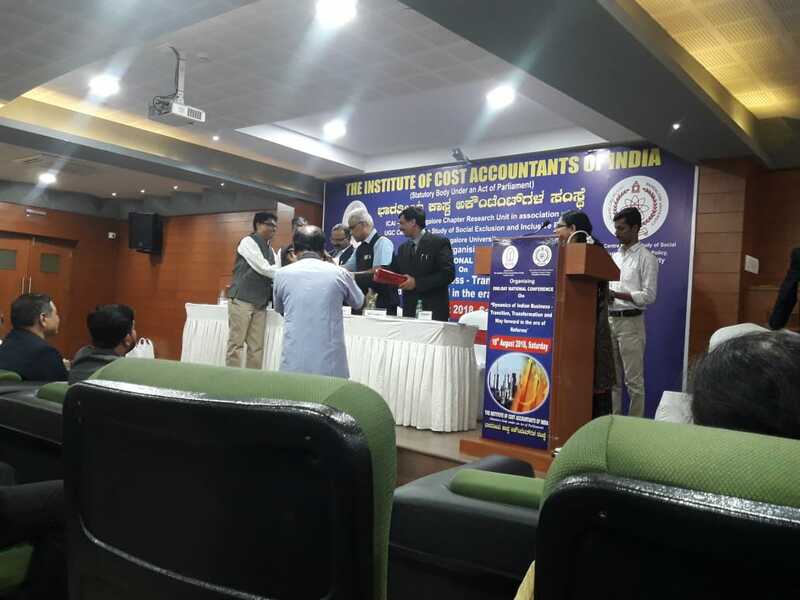 The paper submitted by Dr. Bharathraj Shetty, professor, CMR, CBS, titled “Agricultural Sector Reforms and Emerging Business Opportunities was adjudged as one of the best paper, and awarded. The conference was well organized; around hundred delegates including academicians’, practitioners’ research scholars attended the program.